Hello, and welcome to Smart Start. We understand that you have been ordered to use a portable alcohol monitoring device. With your S.M.A.R.T. Mobile, we will help you get through your program successfully. In this training video, we will show you the S.M.A.R.T. Mobile device, how it works, testing windows, and more so you are prepared to use your S.M.A.R.T. Mobile. If you need to review a certain section of the video, please return to the Main Menu and select the section you wish to see again. You can also review this video again at SMARTSTARTINC.COM. Your S.M.A.R.T. Mobile comes in a protective carrying case with two mouthpieces, a charger, and a charging cord, plus a user manual and quick reference guide. If needed, your service location or your monitoring authority can provide you with more mouthpieces. Charging your S.M.A.R.T. Mobile is easy and convenient. As a battery-powered product, Smart Start recommends plugging in and charging your device during the night. The device can run up to five days on a full battery. When sufficiently charged, the device will wake up during a test window. The battery icon at the top of your S.M.A.R.T. Mobile’s screen will show you how much battery power is available. You also can check the battery level and your next scheduled service appointment under the menu options. It is your responsibility to ensure your S.M.A.R.T. Mobile maintains a sufficient charge to provide all your required tests and ensure its proper functionality. How do I take a test with my S.M.A.R.T. Mobile? Let’s explain the device you will be using. The S.M.A.R.T. Mobile is a portable device that measures the BrAC level, or breath alcohol concentration, in your system. Your device requires you to take a breath test during scheduled, or random, test windows. The S.M.A.R.T. Mobile can also identify you by taking your picture and noting your location at the time of a passed, failed or skipped test. Taking a test is easy. Remove the mouthpiece from the protective packaging and insert into your S.M.A.R.T. Mobile. The mouthpiece must be inserted as shown, or it will not operate properly. Keep the device away from liquids. It is very important that you rinse your mouth with water before taking any breath test to eliminate contaminants. During a test window, your device will beep, notifying you of a test, and will display a countdown of the time remaining to take your test. If the test window is about to expire, the beeping will increase in frequency and volume. Hold your S.M.A.R.T. Mobile as shown, and look into the camera at the top of the display. The camera will detect your face during the test and should not be blocked. Your lips should be fully sealed around the entire end of the mouthpiece. Take a deep breath and blow steadily into the device for three to four seconds until you hear a click. Remember to inhale away from the device, then exhale into the mouthpiece. Your device will either show a PASS or VIOLATION after taking a test. With a failed test, you will be required to take two re-tests. Your monitoring authority may require additional re-tests. It is a violation to not take all required re-tests. Your monitoring authority will only be notified when a failed breath test or skipped test occurs. While your device is in ‘Data Upload,’ you are not allowed to provide a breath sample. The data upload takes just a few minutes, and once completed, the device will display ‘READY’ again with your next scheduled test window underneath. For a successful data upload, please ensure your device is in an area with good cellular connectivity. 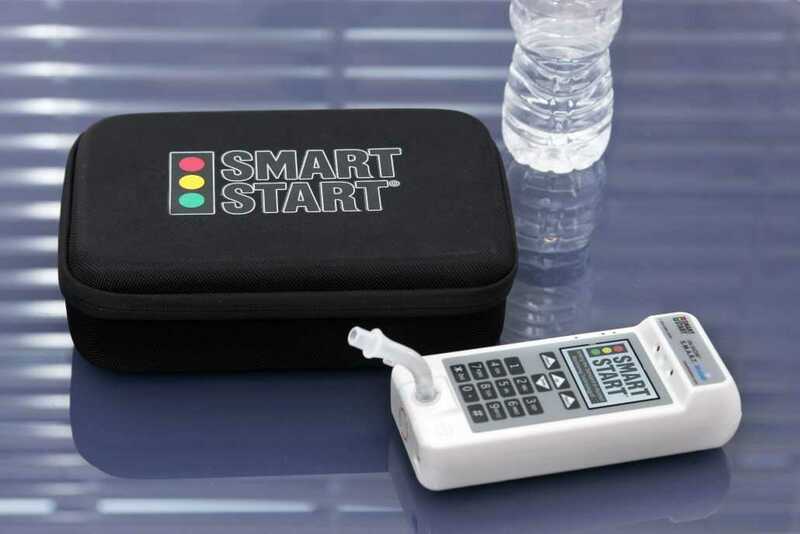 You can provide a breath test any time the device is in a ‘READY’ mode. Your monitoring authority will require test windows for you that can be scheduled, random, or on-demand. For scheduled tests, the S.M.A.R.T. Mobile will display your upcoming test date and time on the ‘READY’ screen. For random tests, the screen will display ‘NEXT TEST RANDOM.’ You will not know when the test will occur, so it is important that you always keep your S.M.A.R.T. Mobile with you. For scheduled and random test windows, your device will wake up and beep when you need to take a test. You may also be required to take on-demand tests. Your monitoring authority requires you to take an on-demand test immediately once they contact you. If your S.M.A.R.T. Mobile is in power-saving mode, you can wake it up again by pressing the STAR, ZERO or POUND key on the keypad and take a test to show you are alcohol-free. Your S.M.A.R.T. Mobile displays PASS or VIOLATION from a completed breath test. A VIOLATION occurs when your S.M.A.R.T. Mobile detects any type of alcohol at or above the fail level set by your monitoring authority. The device will automatically display ‘VIOLATION,’ and require you to take re-tests. Skipped tests are also considered a VIOLATION. You can find your message definitions in the quick reference guide. Tampering with your S.M.A.R.T. Mobile will be considered a violation of your program. Your S.M.A.R.T. Mobile’s camera technology will identify your face when taking a test. Make sure you are in a well-lit area that illuminates your face clearly. Make sure you are properly clothed for a photo when taking your test. If the S.M.A.R.T. Mobile does not detect your face, the test will not be completed, and the screen will display ‘FACE NOT DETECTED.’ You will be required to take another test. Hold the device as shown to pass a test. Holding your device in any other position may cause a failed test because your face is not in full view. Be aware of major light sources directly behind you, like the sun or fluorescent lighting, that could be drowning out your face to the S.M.A.R.T. Mobile camera. Your S.M.A.R.T. Mobile will not allow a test on the device if the temperature of the device is too cold or too hot. The internal heaters do not run off the battery, but will require you to plug in the device to a power source, especially when the device reads ‘TOO COLD.’ Keep your device within normal room temperature conditions. If an incomplete test sample is provided, your S.M.A.R.T. Mobile will display messages to assist you with the re-test attempts. If your device reads ‘Test Incomplete – Blow Harder,’ this means that you need to blow longer and with more pressure. ‘Test Incomplete – Blow Softer,’ means you blew too hard. ‘Test Incomplete – Don’t Inhale,’ means your device detected inhaling during the test. Remember to only exhale into the mouthpiece. ‘Test Error – Tamper Detect’ indicates your device detected a breath sample that did not meet S.M.A.R.T. Mobile testing requirements. Make sure you are not blocking the vent on the bottom of the device while testing. Your user manual has a complete list of all messages you may encounter when using your S.M.A.R.T. Mobile device. The quick reference guide is also provided to give you basic use guidelines and display message descriptions. If you require additional assistance related to product use, do not hesitate to call Smart Start any time at 1-800-880-3394 to speak with a customer care specialist. For information regarding your program, please contact your monitoring authority. If you need to review a certain section of the video, please return to the Main Menu and select the section you wish to review. You can also view this video again at smartstartinc.com under the Customer Support tab. Thank you for watching, and letting Smart Start partner with you on the success of your program.